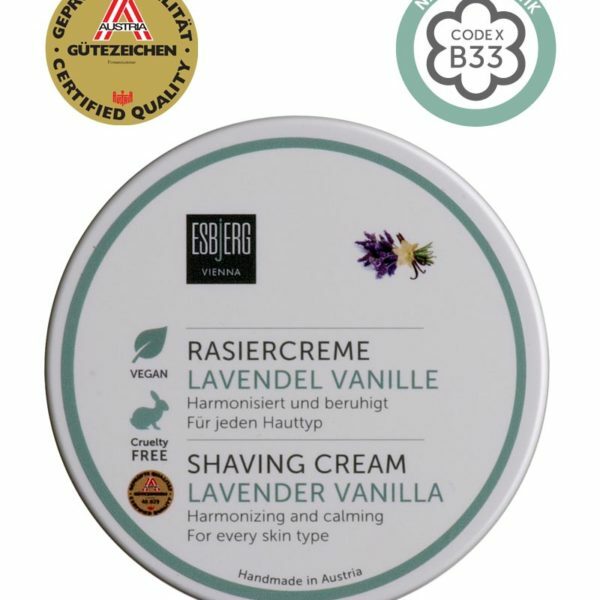 The blooming country France seems to appear to the inner eye, as soon as the one opens the shaving cream Lavender Vanilla. Mixed with natural ethereal oils, the shaving cream enfolds its enchanting scent of lavender. 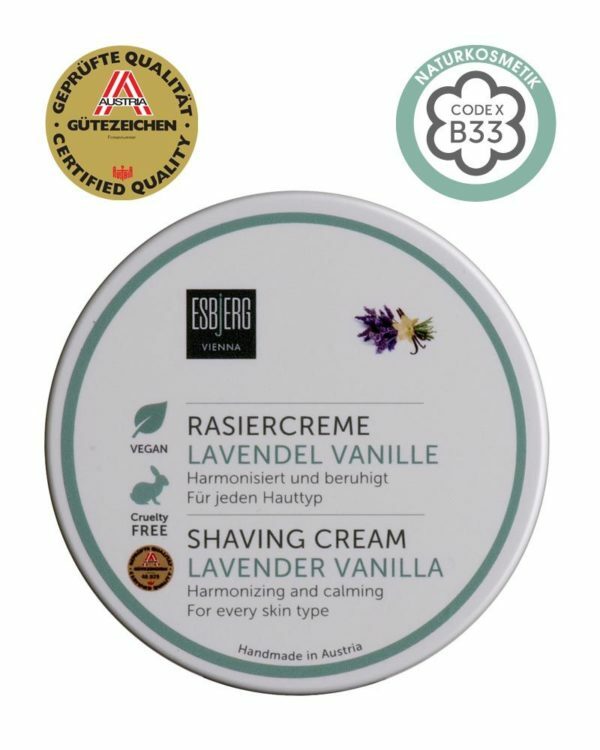 The harmonic scent works calming, and the base texture is intensely caring, which comes as no surprise since the cream is part of ESBjERG’s exclusive shaving creams. The shaving cream nourishes tired skin with important minerals, natural plant extracts and vitamins. Perfect at lathering, the fine texture optimally prepares skin and hair for a thorough and smooth shave. A stimulating mixture in the calming scent of lavender and vanilla. For a unique shaving experience – and of course free of tensides.